Brick and mortar is only the start. The amenities and service provided to owners and their guests at Grand Isle is among the best in the world. Revitalize mind, body and spirit at the Sea Star Spa, an oasis of seclusion and peace offering luxurious treatments and sublime skin care in a dreamlike sanctuary. With everything from sea salt therapies, organic facials, massages, manicure/pedicure, waxing and makeup applications; you will certainly love the variety of revitalizing treatments available. The spa center has three private rooms, one specifically designed to accommodate couples. Kids are also welcome to a healthy dose of pampering with mini-manicure/pedicures or kiddie facials. Spa appointments are available seven days a week from 9am to 5pm. You can also book treatments and enjoy soothing spa procedures in the privacy of your own villa. Celebrate the bold flavors and traditions of the Bahamas poolside at the Palapa Grill where fresh seafood is complemented by the ocean breeze and our tropical outdoor setting. From Caribbean jerk-style seafood to Bahamian barbecue, we offer a real taste of the islands coupled with American style cuisine. Take in the sun over breakfast or lunch and enjoy dinner under the stars. You can also visit our full service bar throughout the day for a tempting selection of tropical libations. Gaze at Emerald Bay and watch the sunset while relaxing on the infinities edge. This zen-like feature has become a destination for many who crave an infinity pool with a view. The Palapa Grill is at your service while you take in the sun or relax in the shade. From snacks and cocktails to entree service, the Grill's menu is available poolside. *Children are welcome but require supervision. Grand Isle features a state of the art fitness center outfitted with Magnum Fitness Systems equipment including free weights, strength training and cardiovascular machines. Maximize your gym-time with a surround sound audio system, HD TV and complimentary towels. Each villa is fully furnished and outfitted with every detail an owner could ask for without the hassle of having to ship anything to the island. 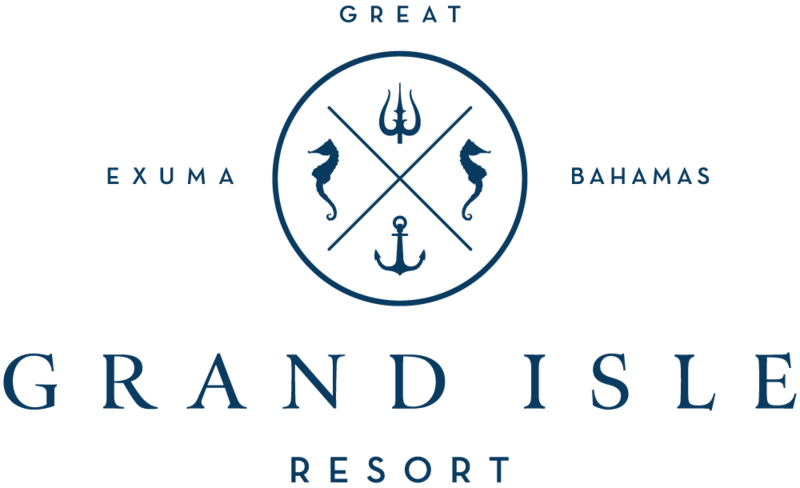 Grand Isle Resort and Spa boasts the most accommodating staff on the island. The front desk team runs a tight ship to insure every aspect of your stay is tailored to fit your needs. From our grounds staff that maintains the remarkable landscape to the housekeeping that is available for your villa upon your request; nothing is overlooked. Dining in? For those who choose to entertain in their villa, the chefs are at your service to accommodate you. Whether it's a romantic dinner for two or entertaining friends and family, you can enjoy the many flavors Grand Isle has to offer in the privacy of your own home. The Palapa Grill can also cater to special events. From celebrations to weddings, our catering manager will apply all his creative skills to prepare a delicious menu that will certainly appeal to the sophisticated tastes of our international visitors. Housekeeping at Grand Isle is on a reserve basis which many owners find is ideal. This gives the owner and renter the power to decide when their residence needs attending to. A simple call to the concierge desk will set up your service that works with your schedule which adds to its convenience. The white sand beach and blue sea are just a few steps away from your villa's doorstep. If an afternoon spent snorkeling or building a sand castle is your typical day in the tropics, Grand Isle provides the tools. From boogie boards to volleyballs, the staff can assist you in building a memorable day in the sun. Kayaks are parked at the entryway to the beach awaiting your journey adrift crystal clear water. Or let the wind take the wheel. The mix of trade winds and frontal winds across Emerald Bay has made this area a major destinations in the Bahamas for kite surfers. Grand Isle doesn't provide the equipment but welcomes those who bring their own. When the sun sets the fun begins. Bonfire celebrations happen on the beach once a week and available for special occasions, upon request. Grand Isle's neighbor Sandals Resort hosts the expansive 18-hole championship golf course, designed by golf legend Greg Norman. This award winning course is par 72 and covered in paspalum grass which makes it a fabulous play area for golf enthusiasts. Experience the dramatic fairways and stunning rocky peninsula while overlooking the Exuma blue waters. Playing golf in this fantastic ocean setting with spectacular panoramic views certainly will be thrilling for any golfer. The golf cart that comes with your villa purchase will usher you through the 7,200 yard course. Come face to face with the Bahamas wildlife, a vibrant tropical archipelago. Feed the iguanas near Guana Cay, swim with the friendly nurse sharks at Compass Cay, hand out treats to the stingrays at the Chat-N-Chill on Stocking Island...and don't forget to swim with the pigs. People come from near and far to swim with the pigs on Major Cay. Grand Isle staff can arrange a boat excursion to visit them as well as venture through the hidden caves and remote sandbars. Great Exuma is all about the water. You'll experience the island's treasures at their best as you sail the stunning Exuma Cays and take part in world class sports fishing from one of our charter fishing boats. Experience bone-fishing in the shallow water flats, deep sea fishing, reef and spearfishing - it's all here. There are half and full day fishing charters that offer experienced sports fishing guides and all the gear you'll need for a day on the water. Packages can be tailored for different levels and interests. The bonus is taking your catch back to Grand Isle for the chef to prepare or for you or to cook in your villa. Or charter the boat for an easy-going cruise to see the sites. Many celebrities have purchased their own plots in the Exuma chain of over 360 islands. Fly past villa covered islands owned by Johnny Depp, Eddie Murphy, David Copperfield, Tyler Perry, Tim McGraw and Faith Hill. See for yourself the beautiful grotto filmed for the movie Thunderball and the sandbar where Pirates of the Caribbean was shot.